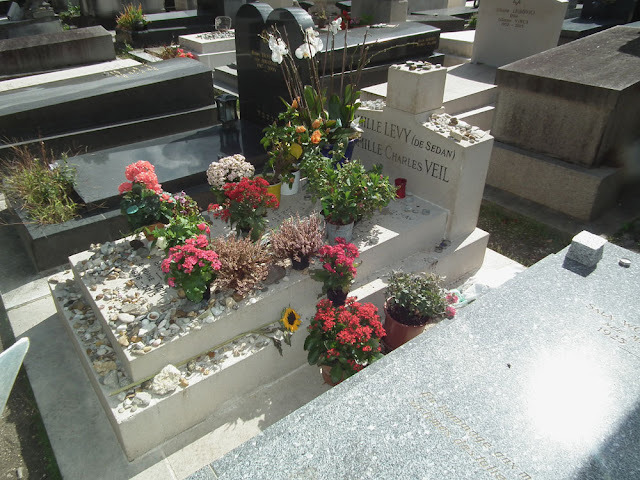 When Simone Veil died last year the whole of France mourned. She had been the first female President of the European Parliament and the French Health Minister, politically active in from the 1970s to the 1990s. No sooner had she sat for her Bac (high school certificate) than she and her family were arrested and sent to Auschwitz-Birkenau. Veil always wondered if she had made a tragic error by sitting for her exam under her real name and that had been how the Nazi's found them. Her parents and brother died in the camps although she and her sisters survived. After the war she trained as a lawyer and went to work in the Ministry of Justice. Right from the start her focus was women's rights, but she also worked to improve prison conditions and to protect children and the mentally ill. She is particularly well known for her successful fight to increase access to contraception and legalise abortion in France, which was won in 1975. Staunchly European she served as an MEP throughout the 1980s. During her time as a high profile politician she had to deal with many misogynist and anti-semitic attacks. I remember reading about her describing how hurtful some of the remarks were and that she could be reduced to tears at times. After one such incident which made a reference to the concentration camp tattoo on her arm she always wore long sleeves. The grave above is the Veil family tomb, but in fact Simone is buried in the Panthéon. Nevertheless, people are visiting this grave in Montparnasse cemetery and leaving tributes to her. She was a great woman and a great politician. May she rest in peace. The Pantheon should rework its Aux grands hommes, la patrie reconnaissante to add et aux grandes femmes! And now there is a president who is just the man to undertake such a campaign.